Did you know that chocolate and cocoa contain a large amount of antioxidants known as flavinoids? 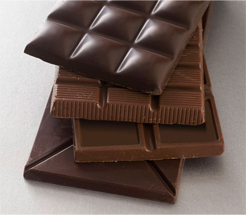 In small amounts chocolate may help reduce high blood pressure and reduce the risk of a stroke or heart attack. Darker chocolate with a concentrated level of cocoa will have more benefit. Eating larger quantities will not provide any additional benefits. 1. Trifle – A layered chocolate with cream trifle makes a wonderful dessert. Why not try several different types of chocolate within the dish. Layered up will make an attractive dish display or could be layered in cocktail classes for individual portions. The saying “All good things come to those who wait” is very fitting for a chocolate mousse. Although the recipe may only take around 30 minutes to make, you may need to wait up to 6 hours for it to chill. Once ready, you will end up with a light, bubbly chocolate dessert that once eaten I’m sure will leave you wanting more! White or milk chocolate chip cookies have to feature on the top 10 list. Who can resist a freshly made cookie? Little chips of sweetness inside a delicious cookie dough either eaten warm or cold for a firmer finish. They work perfectly with a morning coffee. Covered with cocoa powder and you have a delightful little chocolate treat. Adding ginger to the recipe changes the chocolate flavour completely. By using dark chocolate you will have a balance of sweetness and bitterness that compliments each other perfectly. 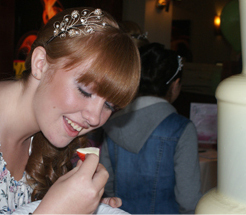 becoming very popular at special occasions to have a chocolate fountain hire at the celebration. Individuals are able to dip various skewered items such as strawberries and marshmallows into melted chocolate and then devour. 7. Hot Chocolate – Whether it is on a cold winter’s morning or late in the evening a mug of hot chocolate is a wonderful way to warm you up and give you a happy feeling inside. Indulge further with whipped cream or marshmallows for the perfect sugar boost. This is not an unusual combination. The chocolate works really well with the spice from the chilli. Depending on the chilli chosen will reflect in the heat given. A mild chilli will give a subtle flavour to the recipe. A small amount of chocolate melted into a sauce which is accompanying the venison will compliment the dish. 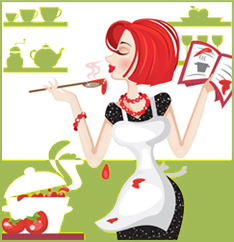 A sauce made from shallots, red wine, raspberry vinegar, herbs and stock will give a deep flavour to the sauce. In Mexico it is quite common for a small amount of chocolate to be added to the recipe. When the chocolate has melted into the sauce it gives a rich deep flavour.